Ménière's disease (MD) is an inner ear disorder of unknown etiology, whose pathological substrate is the endolymphatic hydrops. Different treatments have been proposed; however, evidence of their effectiveness is lacking. The aim of this study was to evaluate by a questionnaire which medical and surgical treatments are used in Italy for the treatment of MD and to compare them with those proposed in other countries. 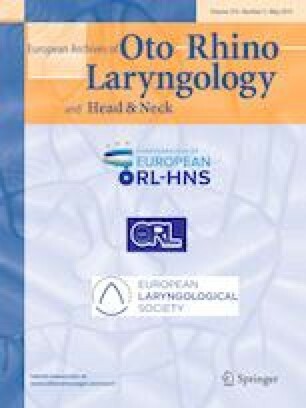 An electronic questionnaire of 40 questions was formulated and sent to Italian otolaryngologist (ENT) divided into two groups: Group 1 (“generalists” 60.8%) and Group 2 (“neurotologist- NO” 39.2%). One hundred and twenty five ENT replied. Treatment of the acute phase, apart from symptomatics, was based on diuretics that are prescribed by 83.5% of respondents, steroids, prescribed by 66.7%, and vasodilators, prescribed by 22%. In the intercritical phase, 87.2% of respondents recommended low-salt diet, 78.4% of respondents prescribed betahistine, and 52.8% diuretics. Statistical analysis did not show correlation neither with the declared specialization nor with the number of patients treated. In case of failure of medical treatment, IT gentamicin was suggested by 48.8% of the respondents and IT steroids by 40.8%. Statistical analysis showed that generalists prefer IT steroids and NO IT gentamicin (p 0.019). In case of failure of both medical treatment and IT treatment, vestibular neurectomy was indicated by 58.4% of the respondents, 6.4% indicated endolymphatic sac surgery, and 2.4% surgical labyrinthectomy. In Italy, the treatment of MD stand on a gradual approach that starts from the dietary-behavioral changes and a pharmacological therapy based on betahistine. In refractory cases, IT treatment initially with steroids and, therefore, with gentamicin allows the control in vertigo in the majority of cases. In case of failure of IT treatment, VNS is the surgery of choice. No conflict of interests of any of the authors.